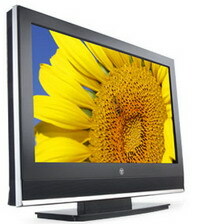 (without stand or speakers) 31.4" x 22.0" x 6.0"
Bring your home theater to life with the new vibrant 32” LCD HDTV from Westinghouse Digital-SK-32H510S. This sleek HDTV supports all TV formats-1080i, 720p, 480i, has an integrated ATSC/NTSC/ClearQAM tune and is packed with multiple HD inputs-including HDMI™ technology. As always Westinghouse Digital brings innovative features to our displays, this 32” comes with Autosource™-Automatic Source detection and switching, preset video modes for a customized viewing experience and our innovative SpineDesign™ and Waterfall cable management system. Take your home entertainment to a new level!